The Linen Table Skirt with Durable Construction Will Last for Years! 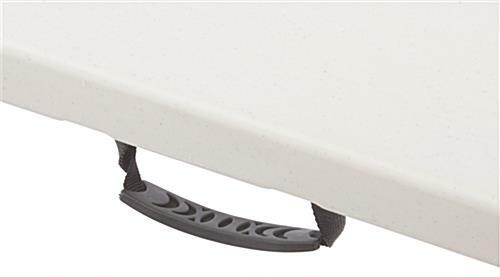 The Included Counter is Also Made from Rugged Materials for Durability! 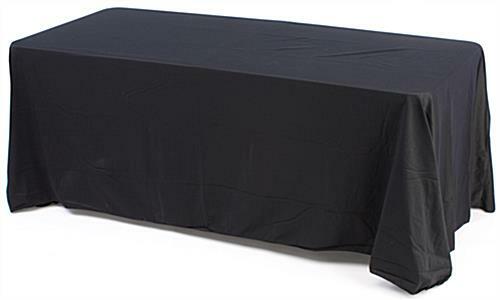 Buy the Proper Table Skirt for Your Next Conference! 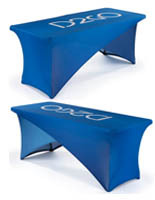 This tradeshow counter and table skirt offer a reliable and affordable way to display merchandise. 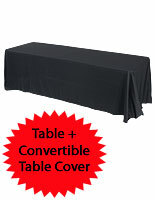 This table comes with both the folding surface and convertible tablecloth. This table skirt display folds quickly for compact storage yet is incredibly stable when opened for use. 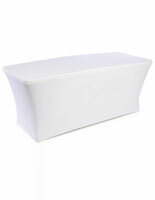 Constructed from molded plastic with rounded edges, this counter is built for longevity. 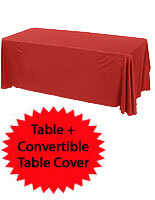 The tradeshow table and table skirt are sold at an affordable price, and you can use it as many times as you want. Make any display into an outstanding and professional presentation with this tradeshow table. The table skirt supplied with the table transforms booths into sophisticated and elegant spaces. 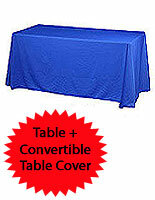 The tablecloth can be expanded to fit a 6 ft. wide table or a 4 ft. wide table. Made from premium polyester, the cover is machine washable and anti-wrinkle. The tablecloth covers all four sides of the included table to allow users to store boxes or other supplies discretely underneath. 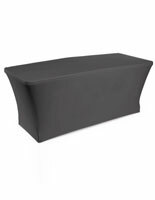 With a sleek black table skirt, this tradeshow table can be used in any location. 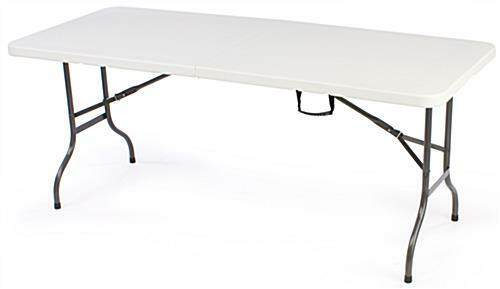 This folding table can be easily installed within minutes on any site with no tools required. 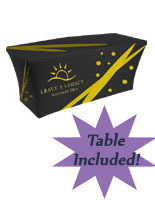 This trade show table skirt kit is the easiest way to set up for a formal presentation. 72.4" x 29.3" x 30.0"
36.0" x 30.0" x 3.5"